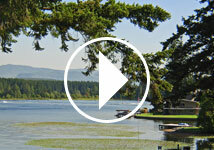 Dow Creek Resort is the place to be on the Hood Canal in Hoodsport, WA. Are you looking for the primitive camping experience but don’t want to sleep in a tent? This is the place to be. 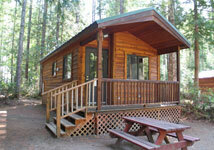 Located in the midst of the Olympic National Forest we are surrounded by this vast forest. After hiking or fishing all day you can come back to your little cottage in the woods and build a campfire! These cottages are so comfortable you won’t want to go home.